Recently the Obama Administration issued a major rewrite of forest planning rules, causing quite an uproar throughout various government sectors and among environmentalists. The Washington Post wrote of this decision, as well as some of the comments made by government officials, scientists and environmentalists in this article. The plan itself establishes “a new blueprint to guide everything from logging to recreation and renewable energy development.” This plan will apply to all 155 national forests, 20 grasslands and one prairie,” though it will give a considerable amount of power to the local supervisors, a fact that concerned some environmentalists. 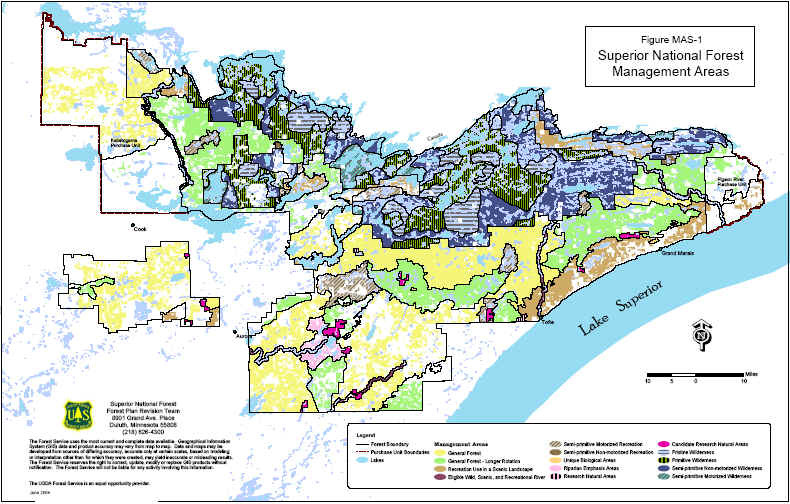 Lauded as a “‘vision of protection, restoration and water preservation,'” this plan does not specifically address the uniqueness of each forest and wilderness area involved. The plan itself is here, and details the proposed changes that have been made thus far, as well as other comments and related items. Edward Abbey long awaited a government rule that sought to protect the wilderness he loved so much, and although this plan has its critics, it seems slightly preferable to the outdated forest plans that were in place. It appears as though the words that resonate so strongly throughout Desert Solitaire have finally taken hold in larger society. 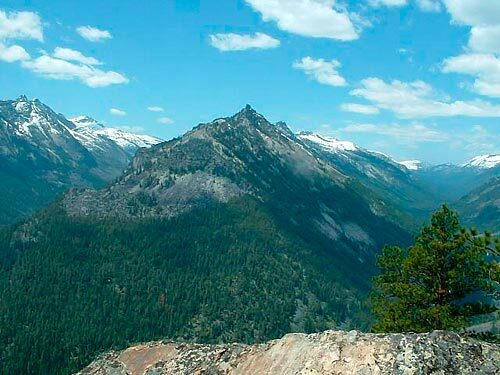 The Obama Administration, along with other environmentalists and scientists, hope this plan will shift the focus of forest management to something more sustainable, thus enabling future generations to experience these wilderness areas. Edward Abbey’s book, Desert Solitaire is a memoir about six months that he spent in Moab, Utah working at Arches National Park. Throughout the book, Abbey focuses on the personification of his desert environment and zones in on the importance of wilderness in the United States. When Abbey first arrives at Moab he introduces the desert to us as “Abbey’s country,” and “the red wasteland,” (4). Abbey continues to describe Arches National Monument as a monstrous and inhuman spectacle. The emotion that comes over Abbey is that of greed, lust, and want, it is almost as though, in Abbey’s mind, the park has become his to conquer or possess. It is interesting that Abbey views the park as a wilderness, a lonely wasteland and yet is completely enamored by its features. Undoubtedly, the image of the desert rock formations is none other than awe-inspiring, however Abbey conflicts the general feelings of fascination towards the desert in his language. Can something be beautiful and a wasteland? Abbey’s descriptive language continues throughout the chapter, “The First Morning.” “Like a god, like an ogre? The personification of the natural is exactly the tendency to suppress in myself,” Abbey suggests that Arches Park is ominous and the reader can only picture the imagery presented here that Arches National Park is terrifying. (6) Whether it be a good personification or a bad one, it is terrifying nonetheless. The idea that Abbey’s environment is beautiful and grotesque, “Lovely and Wild” is a repeating theme and emotion given through out the entirety of the novel. “I’m a humanist.” (17) “The Serpents of Paradise” chapter gives the reader another predicting clue into Edward Abbey’s elitist views of nature. As Abbey encounters a rattlesnake, he knows that his safety is in jeopardy, not only because he has one rather close call with a rattlesnake, but because he knows that if he lets the rattlesnake live, the mice in his home will not only attract this rattlesnake to come back again, but other snakes as well. Abbey states “I’d rather kill a man than a snake.” (19) This again returns to the theme of Arches National Park being lovely and wild. Abbey, although threatened, prefers to take the risk to live and take part in the wild, so in that he may also partake in its beauty. Wilderness, in this case a rattlesnake, does not daunt Abbey. The unknown and unforeseeable future does not daunt Abbey either. This is his practice in full immersion with wilderness. Abbey ends his risky encounter with deciding that “all things on earth are kindred.” (21) This is probably one of the more relate-able instances in the novel that I shared with Abbey in his view of other living entities. Abbeys humanist views appear throughout the novel as well, especially when the surveyors come to visit Abbey and rely on his hospitality. Abbey becomes horrified of the idea of industrial tourism in Moab. Abbey suggests that this road only destroys the natural and promotes human laziness. He implies that it is Un-American to take away man’s sense of conquest, risk and adventure by creating a road going through Arches National Park. He says in his book that allowing cars and motorized vehicles/ machines to race through the park will only destroy the magic of the park. He says, “Wilderness is a necessary part of civilization and that it is the primary responsibility of the national park system to preserve intact and undiminished what little still remains.” (47) This brings up two different perspectives on wilderness, especially of that which exists in a National Park. Should the opportunity of natural beauty be given to all who would like to view it, or should this opportunity be given only to those who seek it out, by finding it on their own adventure and explorations? Abbey seems to contribute once again to a more elitist view saying that only those willing to explore the land first handed, and not through a window in a car. Humorously, he denotes his humanist views once again by explaining that yes, only the physically capable will be able to explore these lands, but good riddance to those who cannot. The world is becoming too populated anyway, and no-one wants to see a mechanized wheelchair lift taking tourists through the rock formations anyway. A Harsh and Hostile Land? Edward Abbey’s Desert Solitaire is exactly what he proclaims it to be in his introduction – an elegy (xii). This novel portrays a beautiful, often overlooked landscape that has been threatened by civilization and the strength of capitalism. 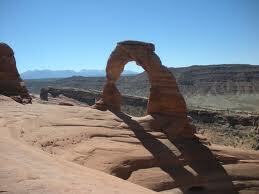 In his novel Abbey beautifully describes the Moab desert and Arches National Park, where he worked as a Park Ranger. In his descriptions he confronts the ultimate decision – whether it is preferable to live within civilization or on its margins in the wilderness. At many points it seems as though his conclusion is obvious, particularly when he makes statements such as, “I’m a humanist; I’d rather kill a man than a snake” (20). To doubt the intensity with which Abbey believes nature and man are interconnected would be foolish when he makes these claims. Of course, the next question becomes “What is wilderness?” Even Abbey admits “we scarcely know what we mean by the term” (189). In the novel Abbey is describing a National Park, thereby automatically including some human element that has acted upon nature. He claims “it is the primary responsibility of the national park system to preserve intact and undiminished what little still remains” (54). 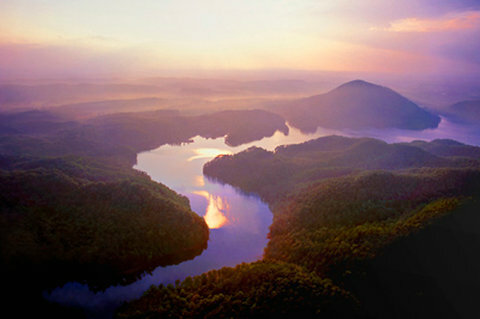 What sacrifices would this entail, both for the wilderness area being protected and society as a whole? Certainly it would help to conserve wilderness, but does that mean old people and small children cannot witness it’s beauty? I agree with Abbey that more needs to be done to protect wilderness areas, and that the government should refrain from developing them to such a great extent. Yet, some concessions must be made, otherwise, how is one to experience something of that magnitude? 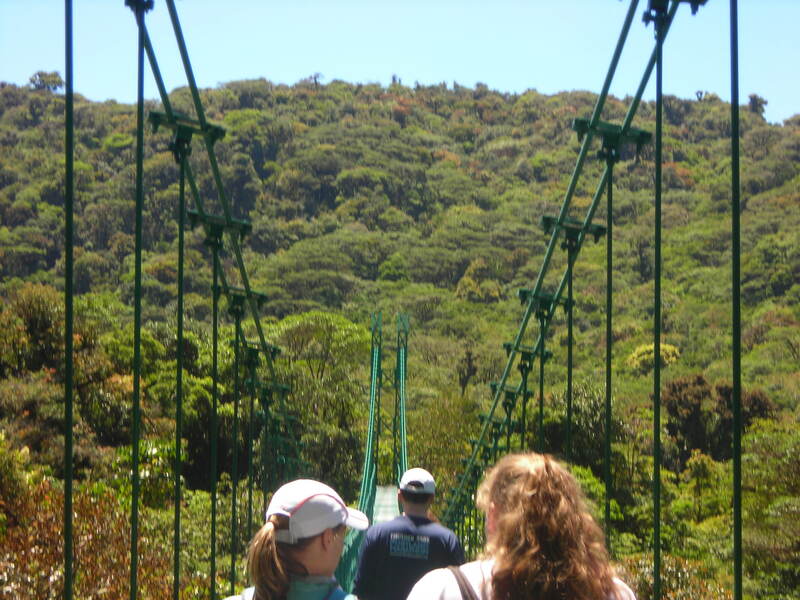 I myself have witnessed the convergence of wilderness and civilization; had I not, this view of a rainforest in Costa Rica would not have been possible. Another aspect that must be considered when deciding to what extent civilization should be allowed to encroach upon wilderness is human contact itself. Abbey, a strong proponent of living in the wilderness and being free of the constraints of civil society, admits “that the one thing better than solitude, the only thing better than solitude, is society” (111). Our definition of wilderness must ultimately include some aspect of civilization – the two are intrinsically connected and cannot exist without one another. Our very definition of wilderness has been shaped by civilization. Abbey’s novel is a beautiful portrayal of the American desert and of a wilderness that is not as desolate or dangerous as it may at first seem. I agree with him that preserving such wilderness areas is important, though empathize more with his belief that there must somehow be a connection with civil society lest “alone-ness become loneliness” (111). Before I even finished the Introduction to the Desert Solitaire, I was captivated by Abbey’s use of language, style, and poetic essence in his writing. “This is not primarily a book about the desert. In recording my impressions of the natural scene I have striven above all for accuracy, since I believe that there is a kind of poetry, even a kind of truth, in simple fact. But the desert is a vast world, an oceanic world, as deep in its way and complex various as the sea. Language makes a mighty loose net with which to go fishing for simple facts, when facts are infinite” (xii). Abbey’s writing style really helped me better understand his emotional and mental connection with the desert as well as his sense of wonderment with the natural world. “I put on a coat and step outside. Into the center of the world, God’s navel, Abbey’s country, the red wasteland” (4). “Time to inspect the garden. I refer to the garden which lies all around me…” (23). “There will be readers, I hope, who share my basic assumption that wilderness is a necessary part of civilization and that it is the primary responsibility of the national park system to preserve intact and undiminished what little remains” (47). “Wilderness, wilderness..We scarcely know what we mean by the term…” (166). “Can wilderness be defined in the words of government officialdom as simple “A minimum of not less that 5000 contiguous acres of roadless area”?” (166). “The horned owl may be the natural enemy of the rabbit but surely the rabbit is the natural friend of the horned owl. The rabbit feeds the owl” (98). “To die alone, on rock under sun at the brink of the unknown, like a wolf, like a great bird, seems to me very good fortune indeed” (212). “(The desert) Like death? Perhaps that is why life nowhere appears so brave, so bright, so full of oracle and miracle as in the desert” (255). “T.S. Eliot and The Wasteland. Certain passages in that professorial poem still appeal to me, for they remind me of Moab Utah” (184). Being a fan of poetry myself, I looked up the poem out of curiosity and it is quite lengthy and also a little difficult to grasp, but has very good imagery. If you’re interested here’s a link to a site with the poem and a guide for understanding it. “In the desert I am reminded of something quite different-the bleak thin-textured work of men like Berg, Schoenber, Ernst Krenek, Webern and the American, Elliott Carter” “Like certain aspects of this music, the desert is also a-tonal, cruel, clear, inhuman, neither romantic nor classical, motionless and emotionless at one and the same time-another paradox-both agonized and deeply still” (255). Edward Abbey’s book Desert Solitaire was very good and I enjoyed the way he told the audience of his season as a Park Ranger in Arches National park in Utah. Aside from Abbey’s storytelling abilities and brief instances of comedic sarcasm, he really seemed to stress the importance of wilderness to humans and the importance of places that have no human or little human impact. One of the first things that I thought about after reading the book was that places that we define as wilderness are not always void, or at least at some point weren’t void of human life. This is something that I feel Abbey addresses well although maybe not straight forward. After reading the book you realize that all the places that Abbey explored in the desert had some hint of human life. The place he was staying and had as a base camp was man made and he had electricity there, even when he went deep into the desert he would find traces of cultures long since passed, by examining petroglyphs on the walls of canyons made by Native Americans. Even when you thought that he was going to find a place untraveled on a tributary of the Colorado Abbey looks up and sees the houses of Native Americans or a mine camp or a passage carved by the Mormons crossing the River. It seemed that everywhere he went he never found a place that a human had not been. The chapter Down the River really showed the impact that Humans have on the environment because as Abbey points out the building of the Damn will change the whole River for hundreds of miles therefore being influenced by humans. This idea of an uninhabitable and “wild” place like a desert being influenced by people goes to show the danger humans can cause in the environment. I do not think that Abbey expected to see a place unaltered by humans; rather he wanted to see a place that had not been influenced heavily by humans or at least a place where people aren’t around a lot and is hard for people to survive. This is where I think he places the value in wilderness. Wilderness is a place where people want to go to get away from other people and the hustle and bustle of things, and in this I feel Abbey is saying that anything can be a wilderness to anybody, to him I think it was the desert he grew fond of, for someone else it may be a place like the meadowlands. The thing that I think Wilderness has in common in everybody’s view of the term is that Wilderness is that place that we use as a possibility of escape. In this one can see the importance of our natural parks, as places of escape and as symbols of wilderness; although they may not entirely be true to the definition of the term they still serve as reminders of what wilderness stands for. 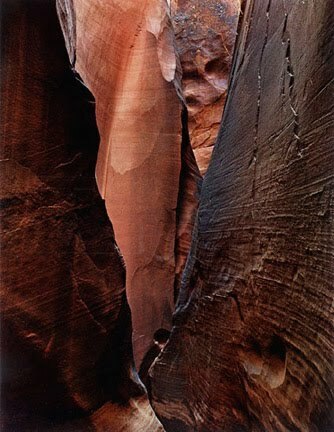 Here are some pics taken of glen canyon by Eliot Porter, who wrote the book “The Place That No One Knew” the picture on the left is of rainbow bridge, and the one on the right is of one of the canyons. The Title of Porter’s book really sums up What the Glen Canyon Damn did to the Glen Canyon. On a final note I would like to state that Abbey has a point about the dangers of using national parks as money makers. To me this highly degrades their authenticity and furthermore slowly begins to tear them apart , as Abbey discusses how more and more roads are being developed, and the jumble of tourism in certain spots you begin to realize that there are special places in the world still that aren’t special when everybody and their brother has access to it. Abbey wrote this book in the late sixties and today I feel as if those special places are all but gone today and that the list of places that take two days to hike too in order to see a natural sight is mighty short. This really goes to show the importance of understanding the environment and how we shape it thorough our actions. The New York Times article, “A Plea for Southern Treasures” written by Joanna M. Foster, emphasizes the threats people pose to nature by summarizing the top 10 endangered areas in the Southeast. The causes for these threats range from a variety of human attempts to alter nature. In Alabama, the coast lines still suffer heavy damage caused by the 2010 Deepwater Horizon oil spill. There are plans for a 4-lane highway to be built between Chattanooga, Tennessee and Asheville, North Carolina and the attempts to implement hydro-electric damns and reservoirs threaten the well being of the Catawba-Wateree River Basin in North Carolina. Interestingly, all of these concerns were also raised by Edward Abbey in Desert Solitaire. This article reveals that threats to nature and wilderness areas are a concern all over the country, whether it be in the lush mountain areas in Tennessee or the bare desert in Utah. The threats listed in the top 10 endangered areas in the Southeast are all a result of the the human desire to reap economic gain from uninhabited areas. This article poses an interesting question: where do we draw the line between development and conservation? San Francisco has recently started a “mowing” business, but instead of humans, people are hiring goats. 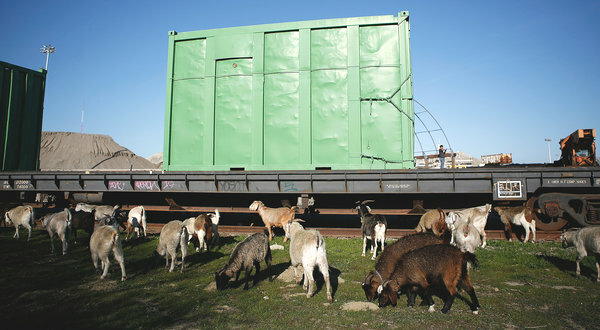 For $200 to $400 weekly, including pickup and delivery, people who need some extra cleanup can rent groups between 5-20 goats, depending on your needs. All the goats were rescued, originally intended as butchered meat. A man named David Gavrich, with a master’s degree from Harvard in environmental management, began the company called “City Grazing”. This article from the New York Times relates to the Meodowlands concept of combining the wild (in this case goats) with the urban. You are currently browsing the Environmental Geography blog archives for January, 2012.